Will I receive all the rights to my photos? You always receive full personal rights to all your images in any full wedding collection or elopement package. That means you can print, share on facebook, design your own album if you wish. We will still retain the copyright which means we will still be able to claim we took the photograph, use it on our website and in any publications. How many final images will I receive? For a full day typically you will receive about 500-700 final edited images. Usually that equals about 50-70 images per hour, however it depends entirely on what is happening and how many photographers there are. We do not limit our coverage and want you to have the best from your day. When will I have my final images? We try to have all images to you by 4 weeks after your wedding day. Our contract says no more than 8 weeks during our busiest times and if any emergency happens. Do you charge a travel fee? We do not charge travel in Summit County, Vail Valley, Estes Park, Colorado Springs, Fort Collins, or anywhere within about an hour of Denver or Breckenridge. We may request that the client book a hotel room solely for the reason of the photographer's safety but this is at the photographer's discretion and we will discuss it with you before booking. Typically the hotel is needed if the event runs late and/or if the event is more than an hour to our home. If the event is outside the locations above please inquire for more details. It is entirely on a case by case basis. Will you take margaritas as payment? Yes, we have hand crafted custom albums starting at $1000, duplicate parent albums start at $600 and Elopement and Engagement Guest books starting at $300. Because the albums are so custom the exact price of the book is unknown. Our clients typically invest somewhere between $1500-2000 in their final book. If you purchase an album with a package it is always less expensive than purchasing it later. Why should I buy an album from you? I custom design every album and can do almost anything you could imagine. I also guarantee the album's print quality, retouch each image if needed, and the album is made from the highest quality materials, not available to the consumer market. It is literally a one of a kind piece of art work. And yes, they are stunning. Can we bring our dog to our engagement or wedding? How many photographers do your packages include? All of our full packages always include two photographers. We believe that is the best way to cover your day and provide you with the absolute best experience. 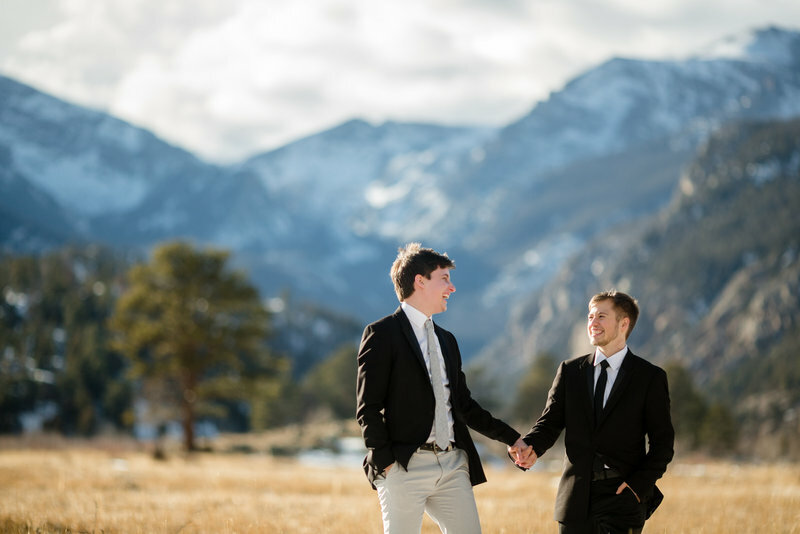 Our elopement and ala carte packages only include one photographer as they are designed for much more intimate occasions. Per our recommendation, those are only available if you have 30 guests or less. Ala Carte and Elopement Packages may not be available for all dates. How far ahead do you book weddings? We typically book on average 6-18 months in advance. I tell our couples that it really is the luck of the draw. We could never get another inquiry for your date or we could get 20. They all seem to come in for the same date at the same time. The best course of action is to book as soon as you know you would like to book us to insure the photographer and date you want. We want to book you, how do we move forward to secure our date? We require 50% down as a non refundable retainer to secure your date as well as a signed contract. When both are received we will consider you booked! The remaining 50% is due 30 days prior to your event. We typically request Cash or Check only, however can make an exception when needed. More Questions or want to check availability? Fill our contact page & we will be in touch soon! Every wedding is different, if you connect to me and my work I would love to see if I can work with you. I am available worldwide. Please inquire for full pricing. WHERE DID YOU HEAR ABOUT US OR WHAT DID YOU SEARCH FOR? Be Sure to check your junk mail folder as sometimes we get filtered. WE strive to return initial inquiries within 24 hours. we are excited to chat with you!